In the second version of Beginner's Guide to Leggings Manufacturing, I have included additional chapters. You will love the content of the new version. Leggings are one of the most common bottom wears in ladies apparel-product basket. Like most boutiques, you might be also planning to start manufacturing leggings with your sewing machines. Or you might be new in this business and looking for information on how to start leggings manufacturing in small scale. You might be thinking leggings are easy product to make. It has a big marketplace in your locality. Yes, you are thinking right way. Most important thing is that legging is a basic product. There is no much design variation. No design difficulty and making the patterns. Only couple of items (raw materials) is needed making the leggings. You just need two pieces of clothes to make a legging. You can start this business and grow if you have a passion in clothing business. I had no intention to write a book on this topic. I have prepared one document for one entrepreneur based in New Delhi, who wanted to start leggings manufacturing with couple of machines. The project report was prepared for manufacturing 2,000 pieces of leggings per day. I had published one blog post with the summary of that project report. I received many requests for this project report from that article. From that I got the idea to compile this eBook. To provide you the same information I have written this little eBook. I have compiled this book with additional information. You will find the basic knowledge on leggings manufacturing and basic requirements to set-up a boutique or a small scale factory. 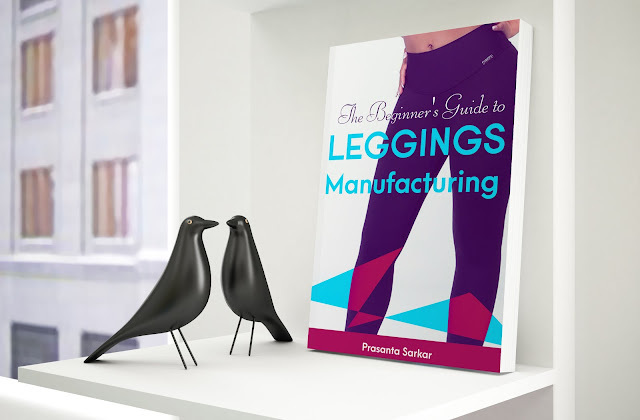 About the eBook: This book covers requirement of man, machine and material for leggings manufacturing. Process of manufacturing and operations sequences are explained step by step. I have shared tips on fabric saving, fabric sourcing, minimizing production cost and business plan. 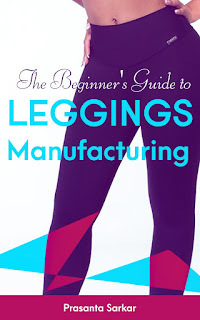 If you are interested in setting up leggings manufacturing business read this book. To download this book click on the the following checkout button. eBook on leggings manufacturing for beginners. This book covers requirement of man, machine and material for leggings manufacturing. Process of manufacturing and operations sequences are explained step by step.